Always get your child’s towel back. These towels are approximately 57″ by 30″. Large enough for an adult. 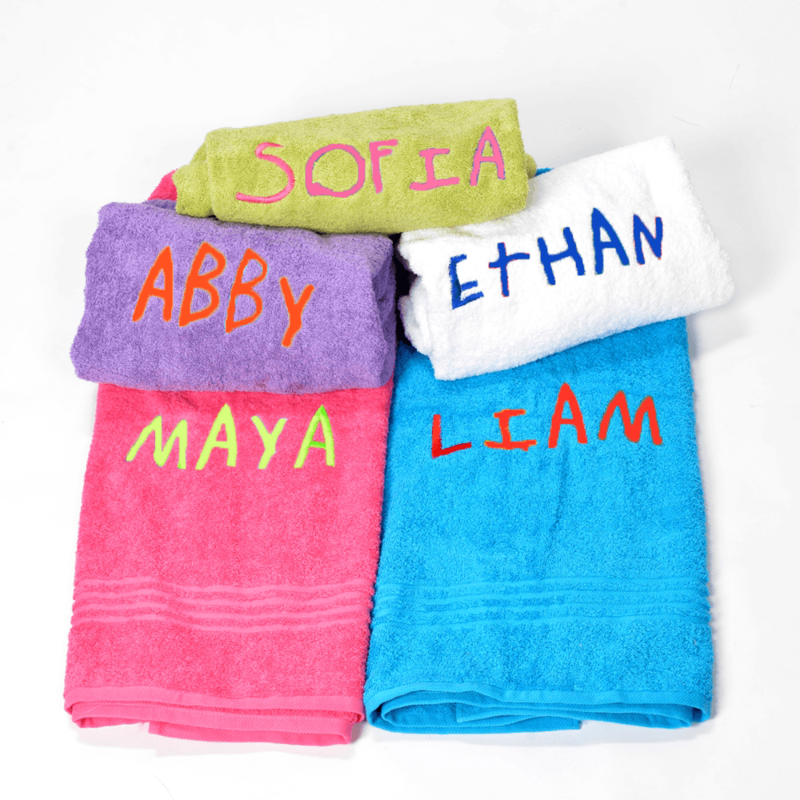 An array of towel colours available. We recommend our KIDS PRINT for younger children in multi-colour or one single colour. For Adults we suggest CURSIVE PRINTING which comes in one colour.